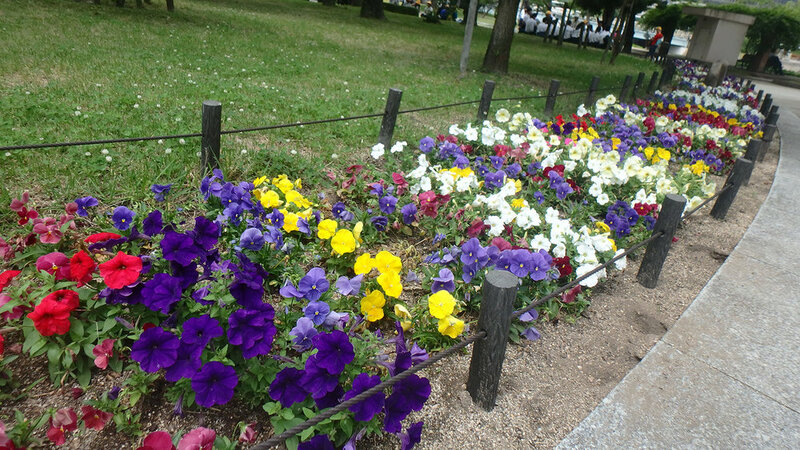 On Wednesday we went to the Hiroshima Bomb Memorial. First we walked through the park and visited the shines dedicated to the loved ones that were lost. 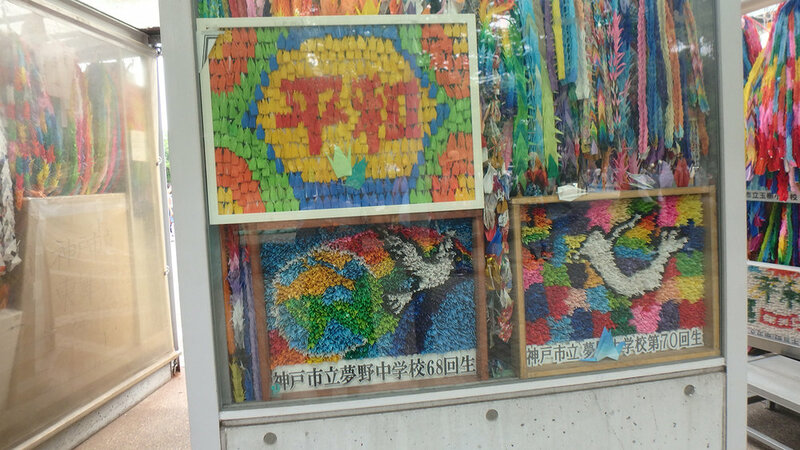 The children's shrine was very special because it had thousands of paper cranes displayed made by other school children over the years to commemorate those who died. We also visited the A-Bomb dome which was the wire framing of a dome that lasted through the bombing. It is the only building left standing after World War 2 in Hiroshima. Last we visited the Peace Memorial Museum where we learned about the bomb, history of Hiroshima, and the aftermath and rebuilding of the city. This experience really impacted the way we see the world because we got to look at it from a whole different perspective in Hiroshima. The Hiroshima Memorial Cenotaph. Under the arch lies a stone coffin containing the names of all the direct and indirect A-bomb victims. Through the arch you can see the flame of peace, which will be put out once the last nuclear weapon on earth has been destroyed. The A-Bomb dome. This building was almost at the hypocenter of the blast and was one of the few structures within a 2 mile radius that remained standing. It's been maintained since in its distressed state as a historical witness to Hiroshima's suffering.